I wish to know the date of a bed of mine. I should be grateful if you could give the period over which this bed was made. With thanks in anticipation, and with kind regards, IanCaddy. It’s label reads ” ARDING & HOBBS / Complete House Furnishers. / CLAPHAM JUNCTION. S.W. ” . This is found on the low, wooden brace of the headboard. The bed – 4 feet 6 inches wide – is composed of headboard and footboard, with two “L” cross-sectioned metal side members connecting the two boards, and a single-folding, fabric-covered sprung undermattress. A normal mattress would then lie overall. One of the metal side-members has ” 6’2″ / REGISTERED / VONO / TRADEMARK / 6’2″ printed on it. This is to replace my less informative message of a few minutes ago. It’s label reads ” ARDING & HOBBS LTD. / Complete House Furnishers. / CLAPHAM JUNCTION. S.W. ” . This is found on the low, wooden brace of the headboard. The bed – 4 feet 6 inches wide – is composed of headboard and footboard, with two “L” cross-sectioned metal side members connecting the two boards, and a single-folding, fabric-covered sprung undermattress. A normal mattress would then lie overall. The boards are of solid dark wood, both with a rectangular panel of linenfold design at either side of four landscape-format rectangular plain panels. One of the metal side-members has ” 6’2″ / REGISTERED / VONO / TRADEMARK / 6’2″ ” printed on it. Robust gold-coloured castors are attached to each leg of the headboard and to each side of the footboard, with the following, stamped on either side of each one: ” PRIORY / CASTOR ” ; ” PAT No / 787918 ” . I can remember being taken to Arding and Hobbs childrens Christmas event where the lower ground floor was transformed into a Snow white and the seven dwarfs theme with a forest. father Christmas gave me a doll and I threw a tantrum because i wanted a penknife like my dad. Can anyone tell me the date. I think it must have been before WW2. I was born in Battersea and my Grandfather told me about the fire he said it was caused by lighted candles. I’m a fourth generation American (with 2-3 of the 4 prior generations rooted in California on either side), born in 1986, with the surname Arding. 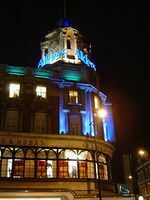 As a bit of a history nerd and a huge Anglophile, I first became aware of the “Arding and Hobbs” department store at least a decade ago, but in that time I’ve also found it increasingly difficult to learn more about the Arding or Ardings behind the iconic, Clapham building’s namesake. Any insight or suggestions for additional research are so appreciated! Battersea Reference Library would be a good place to get offline resources on Arding and Hobbs. Also the Battersea Society may be able to help. 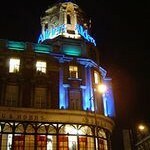 My parents had their wedding reception in the Arding Rooms at Arding and Hobbs I don’t suppose anyone has any photos!! ?